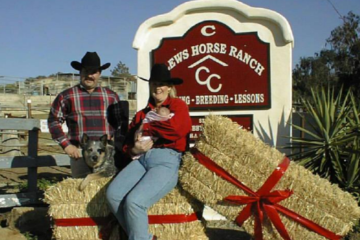 Hall Of Fame reined cow horse trainer, Bobby Ingersol talks about his life, career, and his love for horses. He’s been training horses for about 60 years and he doesn’t train horses any different today than he did back when he started. He said some very profound things that we can all learn from. “There’s a lot of skilled horsemen out there, but I’m not sure they love their horse.” His love and respect for horses shined through in the interview, “He has a heart, a mind, and feelings just like we do.” We can all benefit from learning from trainers like Bobby Ingersol. He’s achieved great success through his love for horses. Watch the video below. Bobby is a 3-time Snaffle Bit Futurity Champion and is in the NRCHA Hall Of Fame. 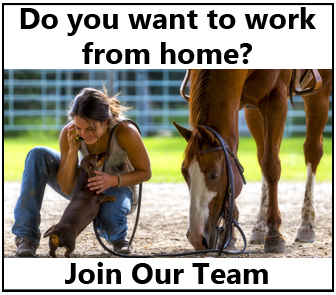 “I ride a horse a lot, train them a little. 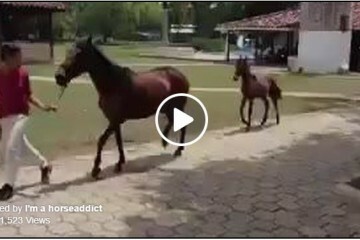 That’s my style.” His love for horses is clear in this video. Bobby Ingersol is a truly great horseman. He doesn’t train every horse the same, he adjusts because there “ain’t really no set way to train a horse.” Share this on Facebook if you agree! 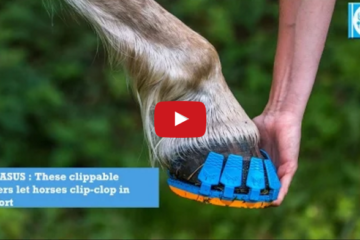 World’s First Shock Absorbing Hoof Protection – They’re Running Shoes For Horses!